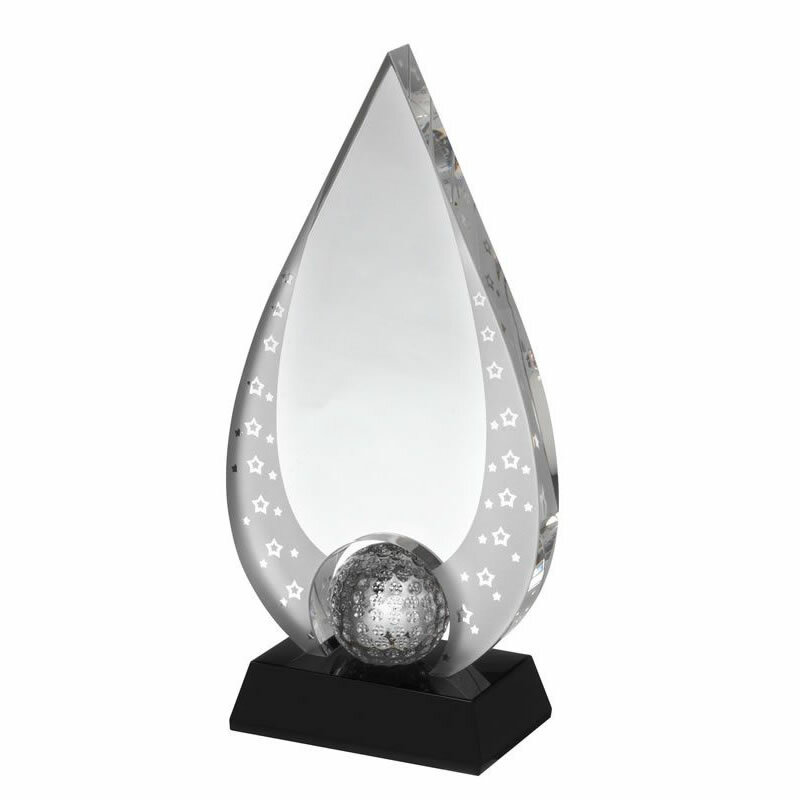 These quality crystal golf trophies will bring a touch of style to any golfing awards presentation. Finely crafted in clear and black glass, they feature a teardrop shape clear glass plaque with a frosted border inset with stars and with an optical crystal golf ball set into a circular hole at the foot. They are mounted on a black glass bevelled base. Available in three size options, these awards are supplied in an attractive blue foam lined presentation box. They can be engraved on both the body and/or base.